The Spring term is well underway as we continue to learn all about the Tudors. The topic flyer is attached to the bottom of the page so that you can see what other activities we have planned. We are working towards writing character descriptions and non-fiction information texts about Henry VIII and his wives. We were hugely impressed with the turn out for our family learning afternoon last half term and the work the children produced was impressive. We know that the children loved having you here and, from the feedback, it seems many of you enjoyed the afternoon too! Swimming lessons will continue this half term on Monday mornings. 4DT will leave promptly after registration so please ensure children arrive on time with the correct kits so that we can get maximum use out of our pool time. We will be walking to and from Walton High School whatever the weather so suitable coats will be required. The Science continues this term with Living Things and Their Habitats whereby the children will plan and carry out their own enquiries and draw conclusions. Children will explore a variety of ways to identify, sort, group and classify living things. This unit also introduces children to the idea that environments are subject to man-made and natural changes, and that these changes can have a significant impact on living things. Throughout the unit children work scientifically by gathering, recording and presenting information in different ways. Look out for update on our Twitter account which can be accessed through the parent news tab. We will be updating you regularly with pictures and news from our learning in school. As ever, Please ensure that the new Home School record books are in school every day as they will be used to communicate homework as well as reading. All children have access to The Reading Cloud (information under the Learning for Life tab) and have the opportunity to have a reading book from here. Please have them record the book and the pages they read each night in their reading record and sign weekly. An updated copy of the timetable for 4DT Spring is attached below, along with important information for this Half Term. Please note that the Spellings lesson will move to a Tuesday while the children are swimming. All children have been issued with usernames and passwords for Education City, Espresso and Sumdog and they are encouraged to have a go at objectives covered in class. 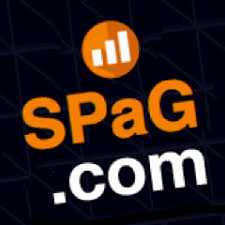 Children now have a username and password for SPAG.com in their diary. Look out for occasional grammar homework tasks. We are looking forward to another busy half term! Year 4 children had fantastic time learning how to stay safe while riding their bikes. They learned how to check their bikes using the ABC principle and how to perform maneuvers such as; braking efficiently, turning and signalling and weaving. Both instructors said how pleased they were with all of the children who participated and looked forward to return to Leasowes to deliver Level 2! Children had a fabulous day exploring the grounds of the castle where they were able to handle artifacts and replicas from the Tudor age. Through role play, they are able to experience life as a Tudor servant and before meeting the lady of the castle. Trying on the clothes and armour proved popular with all and a stint in the pillory was a must for many! The children were a credit to the school and asked many insightful questions throughout the workshops demonstrating a real love of learning. We turned our classrooms into poetry cafés and recited our Haikus based on the Battle of Bosworth. PE: The children will have swimming lessons on Monday starting on 14th January. Mrs Moores will take the Wednesday session as before to complete a dance unit. Visit to Tamworth Castle: Thursday 21st March. Values: This half term we will be looking at Aspiration.